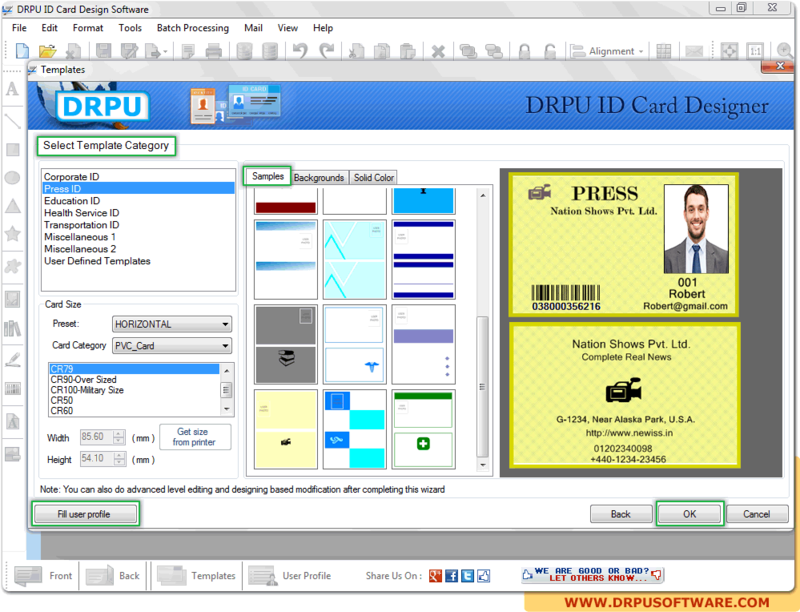 Select any option among three to design ID card as per need. 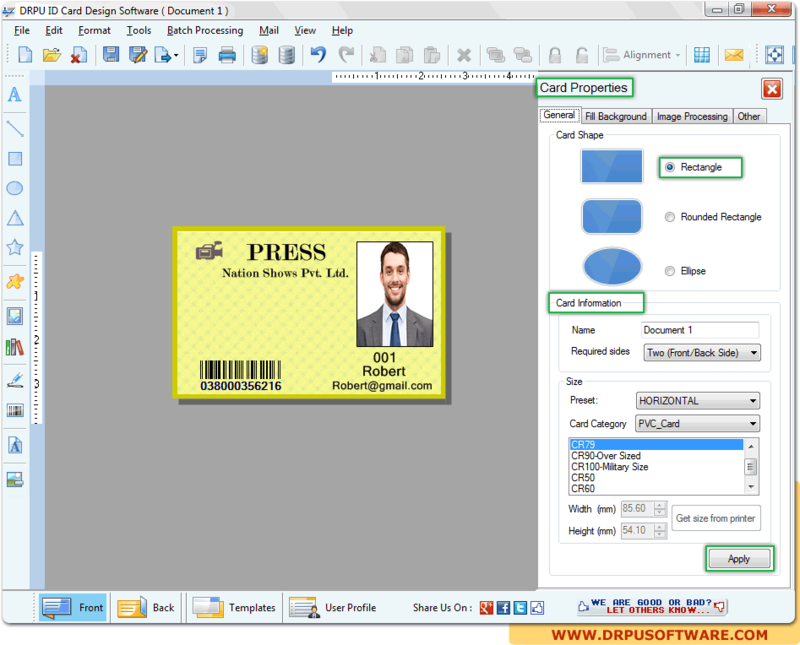 Select template category of card from given samples, select card size, samples, backgrounds etc for your desired ID cards. Click on “Fill user profile” button to fill all required details of user. 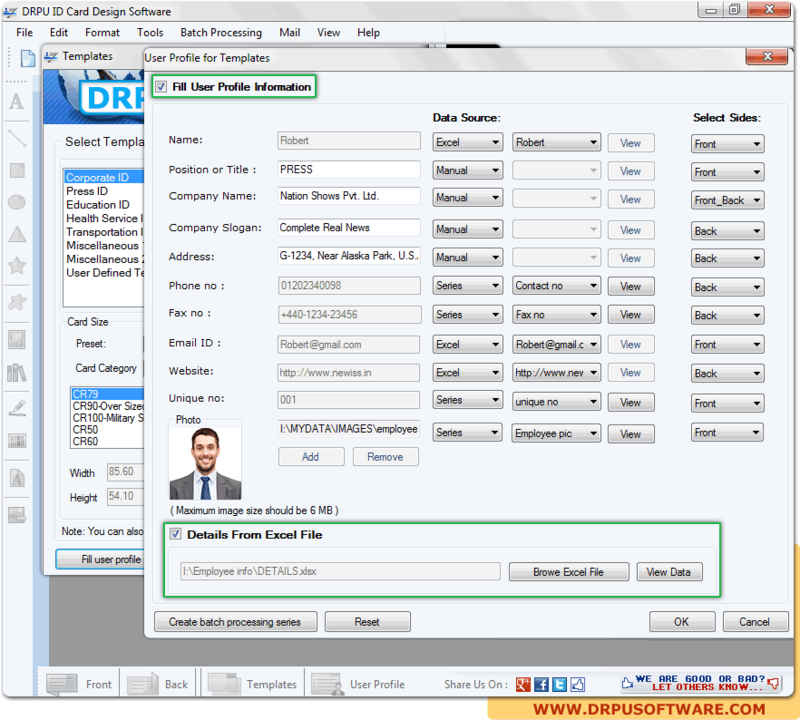 Enter all details manually or can browse details from saved excel sheet. 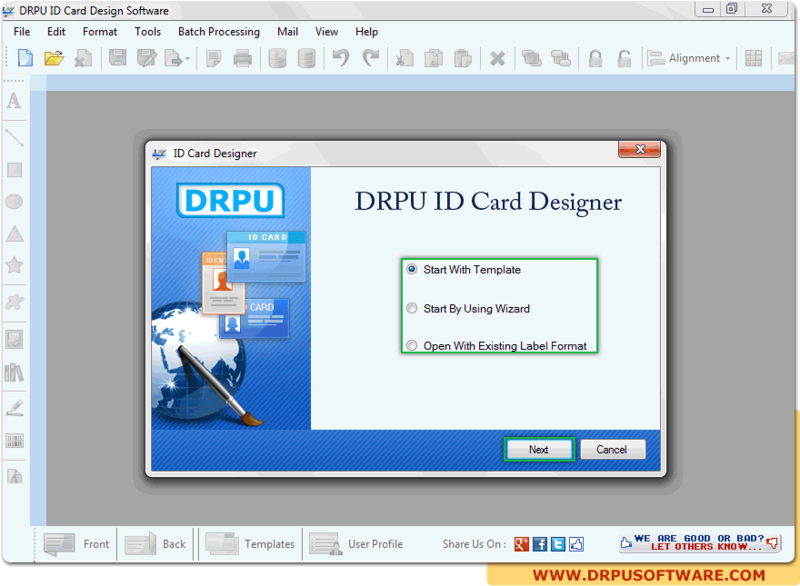 Select card shape and enter all required information for designing ID card.